Dussehra, also known as Vijayadashami, is a combination of two Sanskrit words ‘dasha’ and ‘hara’ meaning ‘ten’ and ‘defeat’ respectively and ‘Vijaya’ meaning ‘Victory’ and ‘Dashami’ meaning ‘tenth’, signifying the festival on the tenth day celebrating the victory of good over evil. The festival is observed on the tenth day in the Hindu month of Ashvin, and will be celebrated on 19th October this year. 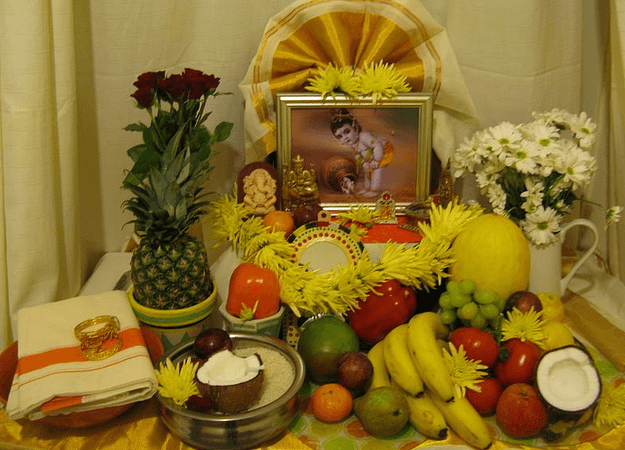 The day culminates a 9 day fasting period of Navratri in the Hindu culture. The day also coincides with immersion of the idol of Goddess Durga. It is believed that the celebration of Dussehra started in the 17th century, when the king of Mysore ordered the celebration of the day on a grand scale. Ever since, the day is celebrated with great fervor and energy. Ravana was killed by Lord Rama on this day as revenge against the cruel act of kidnapping Goddess Sita by the former. Mythology also has it that Goddess Durga killed demon Mahishasura after a long spell of cruelty and oppression by Mahishasura. Another story associated with the origins of this day is the raining of gold coins. After Kautsa asked King Raghu for 140 million coins to give an offering to his Guru in return for his knowledge, Raghuraja went to Indra for help who then asked Lord Kuber to rain coins on the city of Ayodhya. After giving 140 million coins to his Guru, Kautsa distributed the rest to the people of Ayodhya. Largely, the day is celebrated to commemorate the prevalence of good over evil. The day is celebrated on a large scale in India but in their own different ways. In Maharashtra, the day is considered auspicious and people tend to buy new home or gadgets. In Kerala, on Vijayadashmi children are introduced to formal education. In West Bengal, Goddess Durga is worshipped from the sixth to tenth day. In Delhi, huge effigies of Ravana, his son Meghnad and his brother Kumbhakarna is burn signifying good over evil. In Telangana, women make flower rangolis called Bathukamma, meaning Mother Goddess come alive – to welcome Goddess Durga. In Mysore, Goddess Chamundeshwari is worshipped. The celebration here includes a grand procession with thousands of lights and decorated elephants. In West Bengal, Durga Puja begins on Shashti, the sixth day of Navratri, and ends Vijayadashmi, on the tenth day, when the idols of Goddess Durga are immersed in water bodies. In Delhi, hundreds of grounds host performances of Ramlila, which chronicle the story of Lord Ram and his battle with the evil king of Lanka, Ravana. The scene of Ravana Dahan from the Indian epic Ramayana happens on a grand level, wherein the actor playing the character of Lord Ram shoots a burning arrow in the effigies of Ravana, Meghnath and Kumbhakarna. Melas or fairs are organised at various Ramlila grounds. These vibrant melas are those events that people look forward to every year. Dotted with a variety of food stalls, game stalls and giant wheels, these fairs somewhere or the other define our culture. One of the largest Ramlila celebrations is held at the Ramlila Maidan in central Delhi. West Bengal celebrates Vijayadashami, which commemorates the tenth day of the famed Durga Puja festival. The festival celebrates Goddess Durga’s defeat of the evil buffalo demon Mahishasura. Vijayadashami marks the end of the Puja celebrations. On this day, married women offer sindoor to the Goddess, followed by sweets and betel leaves. This is followed by the women putting Sindoor on each other’s cheeks. Go on a pandal-hopping spree where you can see the various statues of elaborately decorated Goddess Durga. Partake of the bhog and sample the famous Bengali sweets. The celebrations culminate with the immersing of the Durga idols in the river. The entire nation and world is aware of Mysore Dasara celebrations. People celebrate Goddess Chamundeshwari, another avatar of Goddess Durga, as the vanquisher of Mahishasura. The Mysore palace is beautifully illuminated, with 1,00,000 bulbs lighting up the grand building. The Mysuru Dasara celebrations are marked by regal grandeur. It’s a royal tradition started by the Vijayanagara kings, over 400 years ago, and later continued by the Wodeyar family. Don’t miss the final day Jamboo Savari where an elaborately dressed elephant with a golden howdah, carries the 750 kg heavy idol of Mysore’s Goddess Chamundeshwari – the one who slew the demon Mahishasura- in a procession. A procession travels through the city, with the idol of Goddess Chamundeshwari perched atop and elephant which is adorned in gold and other lavish accessories. The procession moves from the Mysore palace to the Banni Mantapa. The celebrations carry on till late in the evening, with a torch-light parade that is undertaken in the outskirts of the city. As per Hindu mythology, Chamundeshwari Devi, a form of Goddess Durga killed the demon king Mahishasura here, after which the city is named. Dussehra celebrations in the Kullu valley are imbued with culture, traditions and a legacy rich with history. The Dhalpur maidan is beautifully decorated with flowers and lights. Dussehra festivities in Kullu happen on a very different level, wherein ardent devotees carry the statues of other lords on their heads in a procession and meet the main God of Kullu, Lord Raghunath (Lord Ram) in his temple grounds. This seven-day festivities involves dancing, singing, cultural programmes and a lot of international travellers and devotees. The entire celebration is then taken to River Beas and devotees put fire on a pile of wood which is symbolic of burning Ravana’s home country Lanka. When mountains, greenery and legends attached, something as amazing as Kullu Dussehra happens. In the 17th century, local King Jagat Singh installed an idol of Raghunath, an avatar of Lord Ram, on his throne on Dussehra and from then onwards God Raghunath was declared as the ruling deity of the Kullu Valley. In Gujarat, Dussehra is celebrated as Navratra. Devotees fast through the day and perform aartis. In the evening, people clad themselves in their traditional, colourful clothing and take part in Garba and Dandiya, which is Gujarat’s famous folk dance while savouring their mouth-watering delicacies. All nine evenings begin with a pooja for Ma Amba (Goddess Durga) and continue till the wee hours of morning as the locals dance the night away.Many people also visit iconic pilgrimages, like the temples of Goddess Ashapura Mata, Ambaji temple, and Chamunda Mata temple. Kota is known for its month-long Dussehra mela. Artisans and craftsmen from neighbouring towns sell their wares here. You can enjoy cultural performances while sampling the best of Rajasthani food. Remember to stay back for the final Dussehra event where 75 ft-tall statues of Ravana, Meghnath and Kumbhakarna are set ablaze. It is believed that Varanasi’s Ram Leela is the oldest in the world, which is more than 475 years old! This fact finds its mention in Ramcharitmanas, an epic poem penned by the noted saint Tulsidas. The Chitrakoot grounds of Varanasi turns into a mega stage during this day and people from all over visit to witness the scene of Ravana Dahan. Varanasi Ramleela excels in terms of sets, performances and statues. Mythological places from the epic Ramayana such as Ashok Vatika, Janakpuri, Panchvati and Lanka comes to life on stage. The entire ground looks like one fine movie from the bygone era, when gods used to walk on earth. With vibrant light and soft music, everything looks like a dream sequence. The play ends with Lord Ram burning the effigies of Ravana, Meghnath and Kumbhkaran which looks grand. When you see thousands of people applauding and shouting Jai Shri Ram in unison, it will kind of give you goose bumps! Most definitely, you need to experience this colourful spectacle once in your life, if you haven’t yet. Barara, near Chandigarh, boasts of the tallest statue of Ravana made for Dussehra. The last known height was 210 ft and it promises to increase every year. Colourful markets, foot-tapping music and dance add to the festive atmosphere. A perfect time to combine a visit to the cool coffee county of Coorg is during the Madikeri Dussehra celebrations. Here you can experience festivities for 10 days where they honour the Mariamma Goddess. Karaga dance marks the occasion. Experience a tribal celebration of Dussehra at Jagdalpur with some unusual rituals. Bastar’s Dussehra festivities are the longest spanning over 75 days! One of the most stunning destinations in the state of Chattisgarh, Bastar is known for its olden tribes and natural splendour and Dussehra celebrations. During this time, all the tribes in the region unite to make this a successful event. Be ready to witness some weird and witchy happenings, as there’s lot of dark magic and tribal beliefs involved! However, this celebration doesn’t involve Lord Ram or any other characters from the Ramayana. As per legends, Bastar or Jagdalpur Dussehra was started during the 13th century by the Kakatiya kings who ruled the place. Purushotam Dev, the then king of Bastar, had immense faith in Lord Jagannath of Puri. The king visited Lord’s temple in Puri. The Lord happy with his devotion gifted him with a huge 16-wheel wooden chariot. Since then, the chariots have become a crucial part of the festivities..